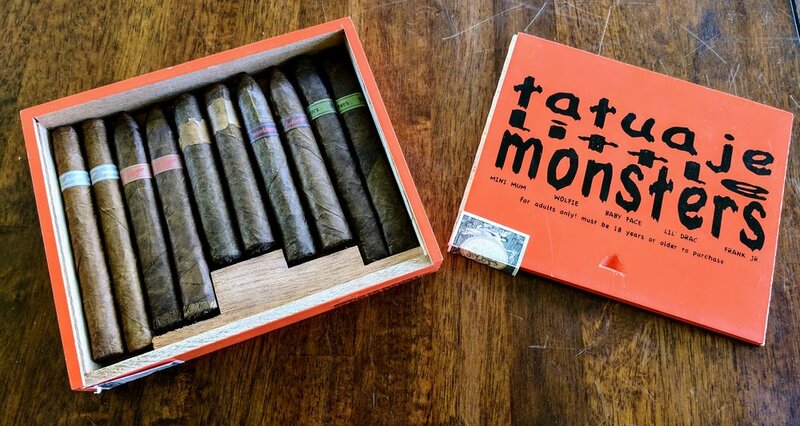 It would be impressive if any avid cigar smoker had not heard of Tatuaje's annually released Monster series of cigars. 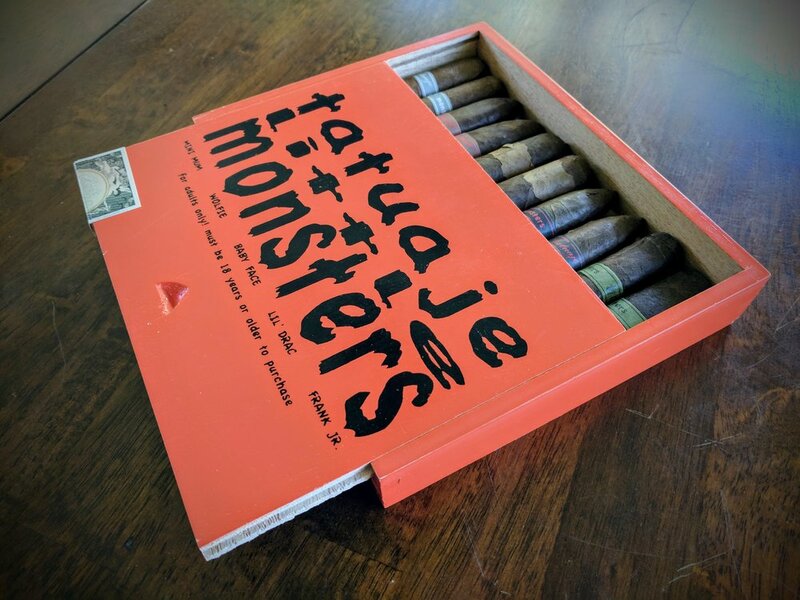 Sometime around 2008, Tatuaje's bossman, Pete Johnson got the novel idea to start a line of stogies based on classic monsters from the film and literature's horror genre. 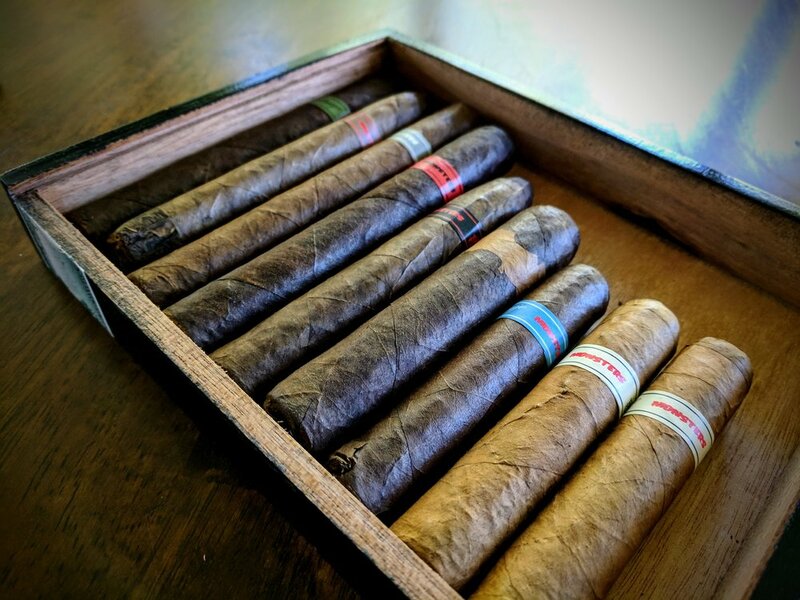 They debuted the line with The Frank in 2008 and it became an overnight success due to the limited accessibility to the smokes and, of course, the high quality Tatuaje has become known for throughout the years. 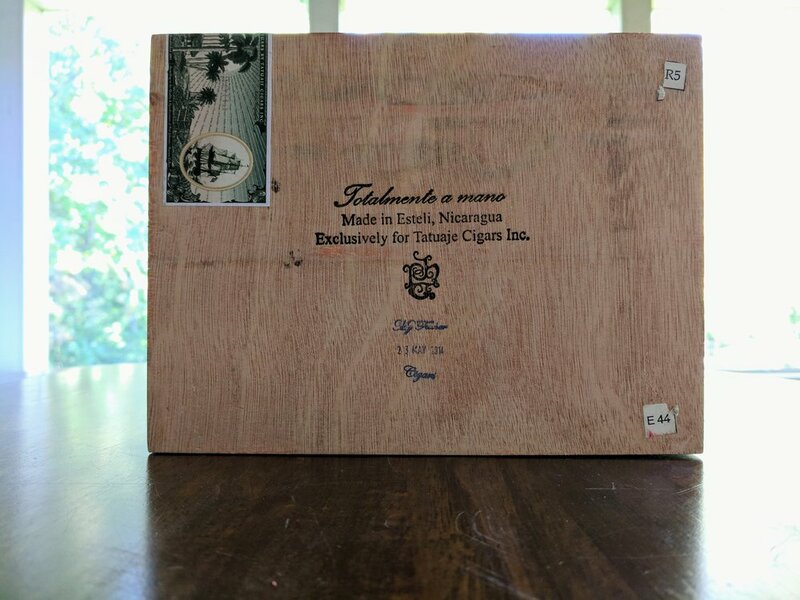 Tatuaje dropped The Frank in 2008. At the time, they only released 666 boxes to 13 randomly selected retailers, both online and B&Ms. The tradition of 13 retailers continued - each year, 13 new shops are selected to carry the line. Since, they've been dubbed "the Unlucky 13" for a couple reasons. First, several of the earlier selected shops went under the following year. Also, there was some backlash from the public because often the shops did not have the supply to meet the insane demand for the cigars. The Frank came exclusively in dress boxes - basically a gussied up wood box - and was extremely limited. 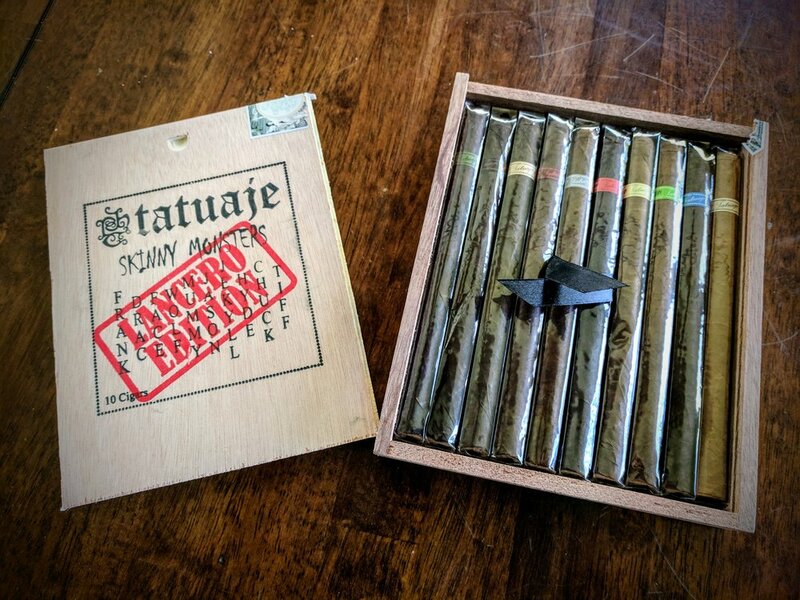 Once Tatuaje saw the hit they had on their hands, they released two types of boxes the following year and that's been the typical process since. Since 2009, with The Drac, they release 666 dress boxes and a varying number of non-dress wood boxes. 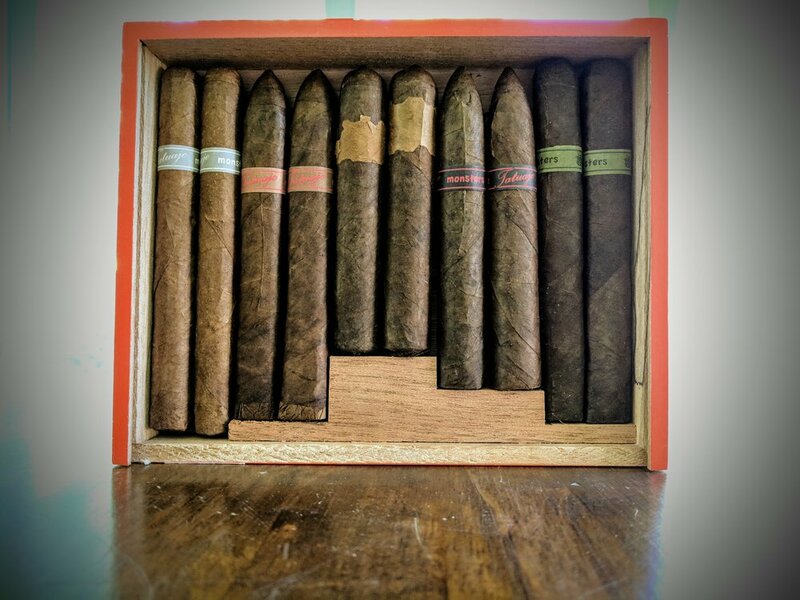 Dress boxes usually contain 13 cigars whereas the non-dress boxes hold 10 cigars. As you can imagine, the dress boxes often command an exorbitant sum on the secondary market. Originally, each box was meant to contain one card depicting one of the Monsters included. There were two variants on the Baby Face card where one showed the Texas Chainsaw legend and the other showed Pete Johnson's mug. However, some issues arose and only about half the boxes ended up containing the cards - pushing an already collector box into the epically rare category. Full-size Monsters - mega hit. Little Monsters - instant cult hit. Next, make more/print money. In a somewhat predictable move, Tatuaje made the obvious move - they combined the ring gauge of the original five Monsters with the length of the Little Monsters. Again, these were released in sampler boxes of 10 - but instead of two of each Monster, three new Monsters were introduced. The set included a Pudgy JV13 (that year's Monster release) and two each of previously unseen Monsters - The Chuck and The Tiff (from Child's Play). 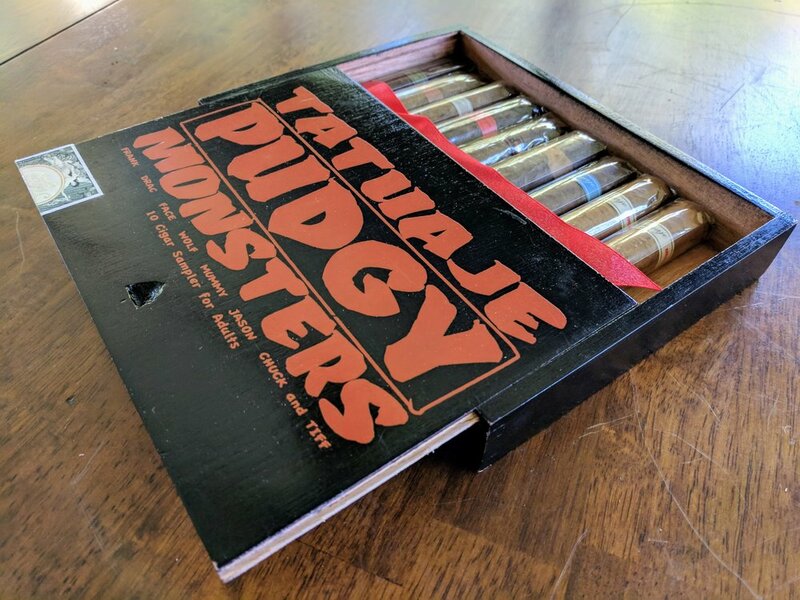 In 2013, Tatuaje released 20,000 boxes of the Pudgy Monsters. There's a theme here. Tatuaje releases Monsters; everyone buys them like hotcakes. In 2016, Tatuaje's Black Label corona was the belle of the ball. 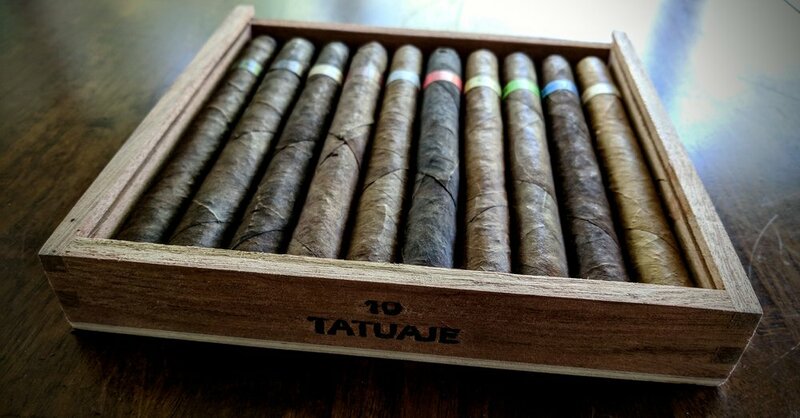 So Tatuaje decided to capitalize on the two lines' success by marrying the vitola size/shape of the Black Label corona with the blends of the original ten Monsters. Spoiler alert, it was a mega-hit .... again. This did mark the first time that Tatuaje abandoned any vitola characteristics of the original Monsters. 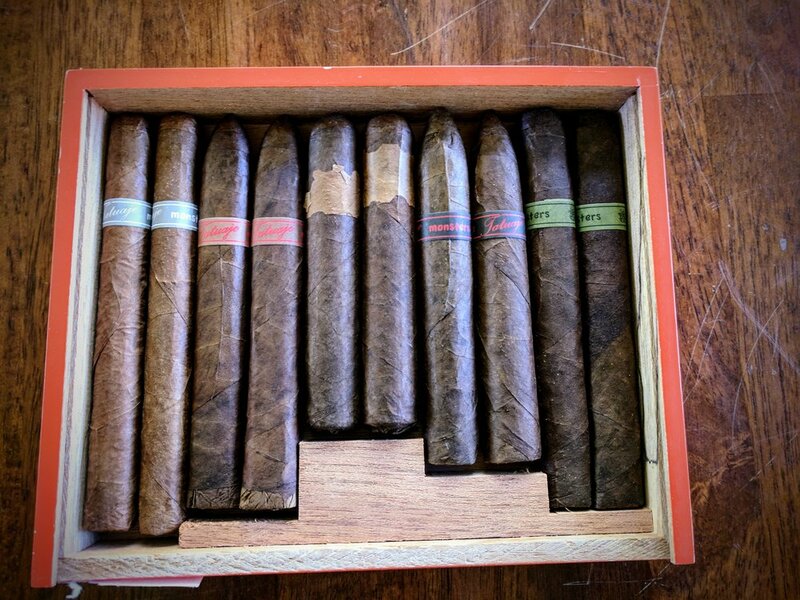 Instead, each came in a petit lancero format - 6" x 38. 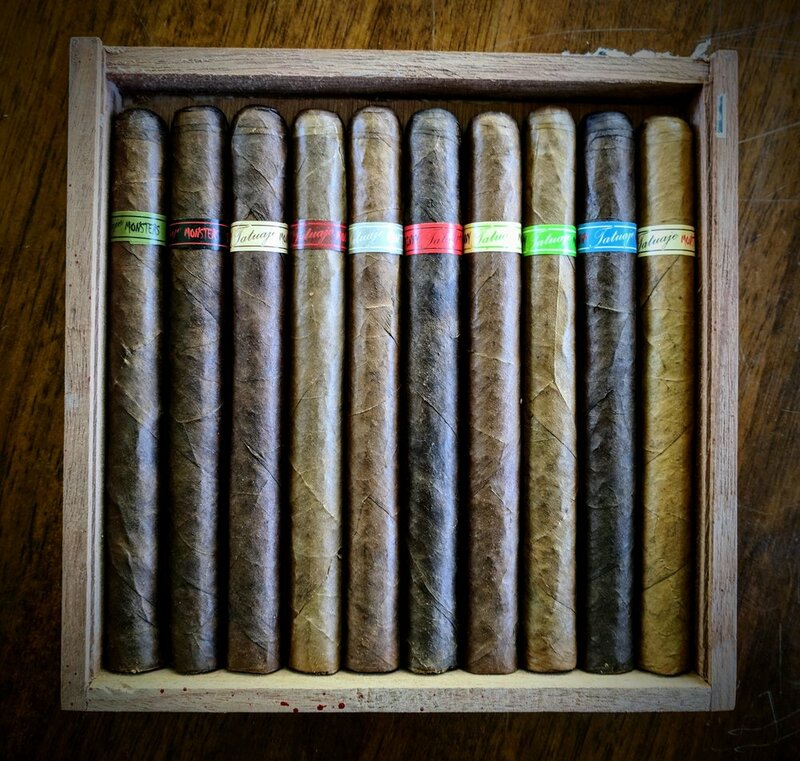 Additionally, this was the first time Tatuaje offered the cigars in individual 25-count boxes to compliment the sampler boxes. 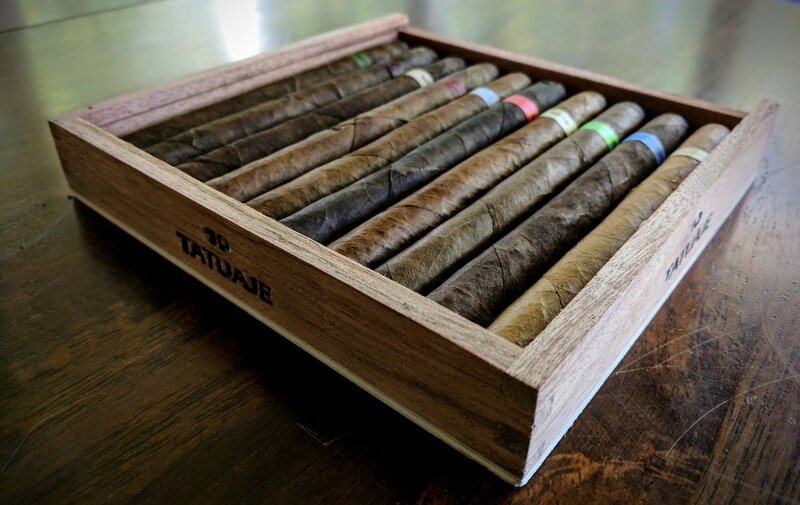 Again, 10,000 sampler boxes were released, but in a cool twist, Tatuaje let the cigar smoking community vote to determine production quantities of the 25-count boxes, but held that at least 400 boxes of each Monster would be released. 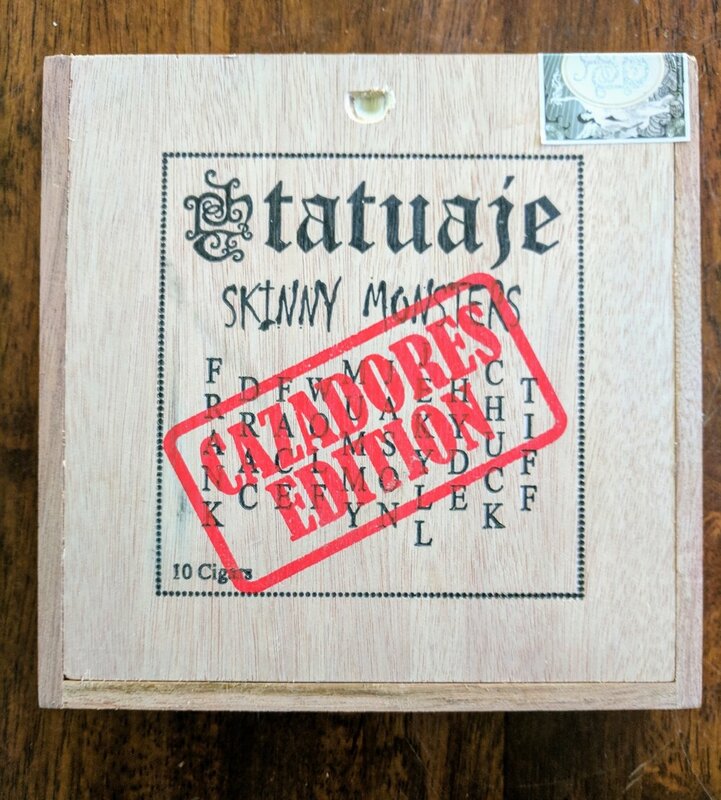 In a surprise to pretty much no one, Tatuaje continued to build on the Monster line's success this year by released two new sampler boxes simultaneously, Skinny Monsters in lancero and cazadores vitolas. Again, these were a departure from the original vitola's shape and length and rather continued with the Skinny Monster format. The cazadores vitola is a 6-3/8" x 43 whereas the lancero is a traditional size of 7-1/2" x 38. Production numbers aren't known yet, but the sampler sets began getting shipped to retailers in May of this year (2017).